How can you as a preparedness-minded person ensure that you are able to economically survive and ultimately thrive in these tough economic times? The answer is through economic redundancy. There are many of you reading this blog that know of someone that is experiencing economic hardship. That person may even be you. I’m sure that most — if not all — of you that read my blog are not among the uber wealthy. Given that, I would bet that in some way or another the majority of you have been affected by the current economic crisis. My story is that even though I am blessed to have a good job, over the last few years I have not had the yearly increases I used to get that would keep up with the inflation happening around me (fuel, groceries, property taxes, etc). This, combined with some unforeseen medical expenses after the birth of our second child, has led to us struggling to keep up with the monthly bills. We are now living paycheck to paycheck and unable to pay down our debt. It’s not the best of situations. However, being the self-reliant, preparedness-minded person that I am, I am currently seeking to create economic redundancy much like I have food, water, shelter, security and energy redundancy. In this post you will learn exactly just what economic redundancy is, why it is so important to include it into your preparedness plan, and the methods of achieving it. 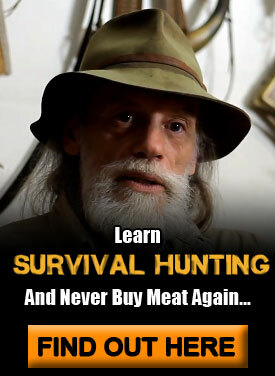 Redundancy is a well-known concept among the survivalist community. In a nutshell it can be boiled down to the concept of “two is one and one is none”. Let’s take your bug-out bag for example. If you have one (and I hope you do) you probably have packed some means/method of fire making. In this example, redundancy would dictate that you’d want to ensure you have more than one method of creating fire. This could be a lighter as well as a firesteel. Or even better yet — a lighter, a firesteel,as well as the skills to make fire from the environment around you. By not depending on only one source of fire, you have created an insurance plan for that key pillar of survival. Economic redundancy follows the same principle. By including economic redundancy in your preparation planning, you are safeguarding yourself financially by not becoming dependent on only one income and wealth-preservation source. During my grandfather’s days (the World War II generation), having a job meant security. Back then, loyalty mattered — for the employer as well as the employee. You could stay with one company for 40 years and expect a nice pension package at the end. There is no company loyalty any more. Retirement pensions are no longer a guarantee (Enron anyone?) and even after working 40 years with a company you could be just as likely to get laid off as anyone else. The idea that having a job is a secure way to produce income is just ridiculous. Without control, there is no security. I mean, how can you be financially secure when your entire source of income could be wiped out with just these two words, “You’re fired”? If your definition of economic security includes depending on the government, it’s time to wake up. When an overspending, overpromising, in-debt-up-to-its-eyeballs behemoth is your major income source, you are counting on a ticking time bomb and you need to seriously consider supplementing it with other sources. As of the time of writing of this article (2011), the economy is in one of the worst states it has ever been in history (in many cases worst than the Great Depression). And it’s going to get worse. Given the amount of market volatility, your current “low risk” retirement plan (401K, IRA, etc) could be worthless tomorrow. Even gold, the great bastion of every preppers wealth-preservation plan, is not a guarantee. Governments have and do put restrictions on transacting and owning gold. For example, from 1933 – 1973 in the US it was illegal to own and transact in gold. Stores wouldn’t take it, and you couldn’t sell it. Who’s to say this won’t happen again. Are you seeing a pattern here? Like any other prep, depending on a single source whether it’s for fire, water purification, energy needs, food or in this case income/wealth-preservation is not a sure thing. Remember what I said in the beginning of this article, “two is one and one is none”? There’s a lot of wisdom in that saying. So where do you go from here? How can you establish economic redundancy in your plans? As an employee, you only get paid a percentage of the true value you generate. For example my company bills me out at $250/hr but I only see a fraction of that. The rest goes straight into other people’s pockets. This is akin to being a wage slave. To free yourself from slavery you first need to change your mindset. This mindset shift happens when you realize that you earn income by providing value, not time. So look for ways to provide the most value to others, and charge a fair price for it. One of the best ways is to start your own business. Whatever work you’re doing now in your employment, find a way to provide that same value directly to those who are benefiting from it. This way you get paid to the full level of the value you are offering. It may take a bit of up-front investment in time and perhaps capital, but the freedom gained will be well worth it. Additional revenue sources could come in the form of part-time jobs, consulting (if your expertise warrants that), to starting a small home-based business. With the internet age, we have more opportunities to create income than at any other time since the entire world has become an available market. If you have a knack for finding good deals (yardsales etc), or better yet have access to wholesalers or other “at-cost” sources, then you could do well selling from your own site or on online marketplaces like eBay, Craigslist, Amazon et al. The disadvantage to this business model is that you need to handle all the warehousing, shipping, and inventory management. Which, depending on the amount of products you move, can take a substantial amount of time and cost. Dropshipping is a retail method where the product you sell (from your site or through eBay for example) is shipped to the customer directly from the supplier or warehouse instead of directly from you. When a purchase is made, you fulfill the order, send it to the dropshipper and they ship it to the customer. Whatever the difference in your selling price and the dropshipper’s buying price is your profit. The benefit of this business model is that your risk is minimized since you don’t have to buy the product until it is sold. The dropshipper takes care of all the warehousing, packaging, and shipping of products, saving you a bunch of money. The downside is you still need to spend time fulfilling the orders as well as dealing with the hassle of refunds. If dropshipping is something that might be a good fit for you, here are two of the more well known dropshippers: Doba.com and Simplx.com. If you have a website or a good-sized social network (like facebook or twitter), a great way to make money online is promoting affiliate products that you like or have experience with. As an affiliate, you promote a product or service via a link on your site or a social network. If someone clicks on that link and makes a purchase you receive a percentage of the profits. For example, some of the links such as the Amazon store links and the ads under the “Blog Affiliates” section on my site are affiliates. It’s real simple to sign up as an affiliate and once you get their links you can be up and running very quickly. I find this business model even better than dropshipping since you don’t have to be concerned with any portion of the order-fulfillment process. Everything is done for you allowing you to literally make money while you sleep! If you like to create things, you could turn those creations into profits. For example, my wife has a friend who makes good money selling fancy children’s necklaces that she makes herself. Another woman I know sells wonderful homemade soap online. Sites like Etsy.com, Artfire.com, and BuyHandMade.org are some good examples of where you can sell your own products online. 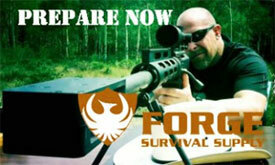 One of my passions is all things survival and preparedness related. This site you are reading from is a result of that passion. Even though I am not replacing my normal income by any means, this site does bring in some extra revenue that goes a long way in helping out with the monthly bills. The best thing about it is that since it is such a passion of mine, it doesn’t feel like a part-time job (I just wish I had more time to focus on it). You can make some good money teaching others about things you are experienced with and are passionate about. There are people making money teaching others about how to drywall, do carpentry work, garden, sew, paint portraits, raise children, find a mate and so on. With this type of business, you are selling information (in the forms of ebooks, physical books, downloadable videos, DVDs, CDs etc). If you are interested in this form of online business, and are clueless as to where you should start, I highly recommend becoming a member of Sterling and Jay’s Internet Business Mastery Academy (of which I’m a member). These guys will take you step-by-step through the process showing in detail how to turn your passion into a profitable online business. And if you don’t know what your passion is, they will help you discover it. Creating economic redundancy through multiple streams of income is very difficult if those income sources are directly related to the time you actually work. Since there are a limited number of hours in the day, trading your time for money limits the amount of money you can make. In other words, just how many part-time jobs can you take? Your ultimate goal when ensuring economic redundancy is to setup systems that generate income 24/7 — especially passive income. This could include starting and building a business (like joining a MLM company), building a web site as described above that runs itself or other people run, owning commercial or rental property, building dividend income through investments, or generating royalty income from things you’ve created (music, books, patents etc). Once set up, the system will continually deliver the value to people and generate income from it — whether you are actively looking after it or not. This frees up your time to generate more income either through building up and fine tuning your existing system or creating new ones. The final recommendation is to protect your existing wealth through diversification. No, this does not mean spreading your money across different funds in your 401k as your fund manager might have you believe. 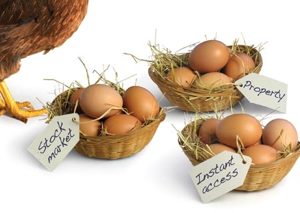 Diversification means to spread your money across different asset classes altogether. This includes market assets which are things like equities (stocks), fixed-income (bonds) and cash equivalents (T-Bills etc) as well as real estate (land/property) and commodities (precious metals). 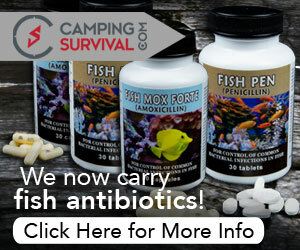 For the prepper you might also want to consider barterable items such as seeds, ammo, fuels, sugar/salt and so on. Just as you would include redundancies for security, fire, water, shelter and food – redundancy in your economic preparations are just as important.To survive and ultimately thrive in these tough economic times, you cannot rely upon a single income source or wealth-preservation method to carry you through. So with this in mind, start implementing these recommendations today. Go out and start looking for other sources of income — the internet being one of the best ways. If you’re interested, but worried about not being technically savvy enough, I could do a post on how to set your own blog in under 10 minutes. If you haven’t yet, I also recommend you sign up for my newsletter (sidebar top right). From time to time I’ll point you to specific products/services that will help you achieve economic redundancy. Excellent post. Thanks for putting it together. I’ve counseled people for years that relying on a single source of income is putting all of your eggs into one basket. No matter how well you do your job (and you may very well be the very best person at it in your organization) you are one re-org, one merger, one downturn in the economy from being unemployed. Being about to supplement your income is a good thing, as is continuing to build a network of contacts that you can reach out to should the need arise. Great advice Joe. I especially like your advice on building a network of contacts as a go-to if the need arose. (LinkedIn is a great resource for that). I’d like to see that! The post on how to set up a a blog, that is. Thanks for the interest DPM. I’ll definitely do this (I’m shooting for next week). The economy is terrible and some of the “best jobs” are still pretty lousy. Global wage arbitrage has pushed hourly wages down in the U.S. Like you said, loyalty doesn’t mean much in today’s global economy. So, what do we do if we want to earn more or get an income again? Well, you have to get really good at something. As you stated, you have to provide value, otherwise why would people bother paying you? Start something. Be in charge. Be responsible. You’ll learn and earn more than being a widget. “Start something. Be in charge. Be responsible. You’ll learn and earn more than being a widget”. Glad to see this article. Sorry to hear about the circumstances that are causing struggles for you and your family. After following your top 10 prepper sites to Surviving in Argentina it seemed like mutiple income streams approach should have been at the forefront of preppers blogs everywhere. Another emerging thought group that would dovetail here very smoothly is Financial Permaculture. I guess the issues of starting a business on a shoe string doesn’t quite have the appeal of starting fire with flintsteel or a bowdrill. They are both equally important. Both take time and experience. You distilled in your one article most of what people will learn, one way or the other, about income streams, very good micro course. I work a full time day job and over the last 4 years have built up with my wife a bakery business primarily through our local Farmers Market. We lost a ton of money trying to get into Real Estate Investing. We didn’t have the personal development and networking needed. As we developed we did get into a MLM. We made some money but, mostly wound up with experience and didn’t lose much money. These helped us focas on types of businees that fit us. Then we got into the Farmer’s Market, it was passion oriented. We had grown to a point of understanding what we could do. Also having learned to grow slow, buy what you can pay for or very short term loans. We have worked hard, spent a lot of Saturdays selling product, Dealt with being outside in all kinds of weather year round. It’s been quite an experience. Learned to network with people and even manage conflict. So that brings us to using this business which has peaked for us, as a stepping stone into the next business. So Thanks for taking this track and I’m looking forward to your next entries, even using some of it in my own new business. Thanks for the great comments and sharing of your experiences! I’m in agreement with most of everything the Financial Permaculture movement is trying to create. Community seems to be a lost concept nowadays and it will be very important when tough times come. Thanks again for commenting and appreciate the visit. Great article – I like the idea of selling your passion! The marketplace has been bombarded with tattoo removal products and solutions over the last few years, which means that people are starting to reconsider their body look. When people get a tattoo, they seldom realize when they make a poor choice, and they get in touch with reality after several years. Plenty of ads will try to convince you that an unpleasant tattoo can become history with the use of a simple tattoo removal lotion. But things are never that simple! No matter what advertisers try to convince you of, take everything with a grain of salt! Wake up! Tattoos don’t disappear overnight, and there is no magic trick to get rid of them. .. Thanks for the post. It has very good food for thought. I’d like to echo the kudos in Charles’ excellent review post. This was one of your best. One thing that was not touched on specifically was making money AFTER the fall. If and when the Crunch happens, there may be no Internet, no comms, etc. Everything in your life may revolve around your block or city. Choose your occupation wisely. I’m a retired auto mechanic, a handyman by trade, and a good scrounger by habit. But I’m still wondering how I’ll make a living after a major Crunch. I suppose I’ll have to be a whole lot more active in getting a group together which could steer work to our various members. I’m single and tend to be a hermit by preference, so this may be hard. I wouldn’t want to be away from my home for long for fear of looting.